Consistency and listening to baby’s body is key! I can always get kids to nap and sleep at night. Never listen to others. Get to know your child. We have 5 and some needed more and some needed less and some did better with am naps and some with pm naps. All in all for al 5 keeping it at regular times once you learned when their body naturally needs it is key. I couldn’t agree more! I was concerned about my son’s sleeping habits from the beginning (although there’s very little to do in those first few blurry months but survive) and wanted him to be well rested and happy. Admittedly, I am also a routine type of person and needed some structure to my days so I stayed sane. We started with putting some good habits into place (dark room, white noise, give him 5 minutes of fussing before responding) after 2 months. Then, once he was 4 months old, we worked with a sleep consultant (can’t thank you enough for the referral sister-in-law!) and she was amazing. We now have a great little napper and sleeper at 4.5 months old. No 4 month sleep regression here – yay! The one drawback to having a good sleeper is that it makes you housebound, which is rather lonely. This is something I was not prepared for. 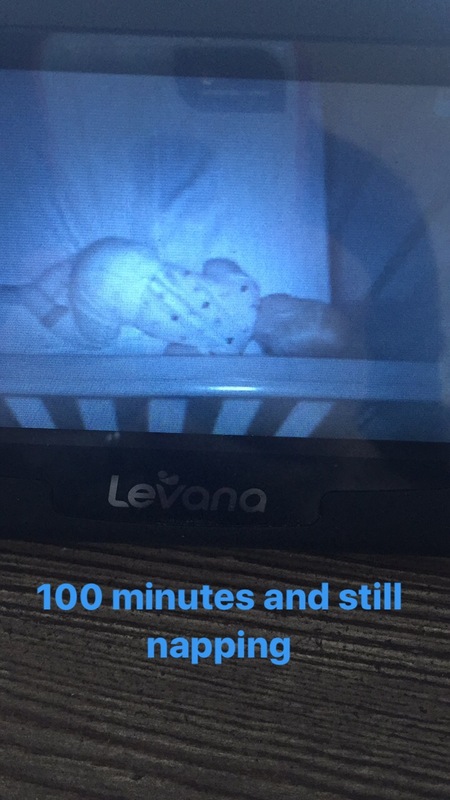 I imagined myself out and about during my mat leave doing all sorts of fun mommy/baby stuff, but that doesn’t happen when you have a child who loves (and needs) his naps in his crib. I realized I had to adjust my expectations of him and what we can and cannot do each day. It can be so hard at first with the napping, and I really had to morn the idea of mommy and me life I had in my mind. But I found a lot of relief in the quiet and built a new idea of what day to day would look like. I promise you will leave the house in the next 7.5 months. Sticking to a routine helped us a lot; even if that meant giving up what we’ve gotten used to. It was worth it though! I needed this when my baby was little. We all needed more sleep in my house! A well-rested baby has a happy and well-rested mother! This was very insightful. As much as I love babies, I’m glad I’m out of that stage! A great post on parenting. This information is helpful for those with babies struggling to make them sleep. schedule schedule schedule– that was my trick for a well rested baby and a sane momma!!! Inspiring post to read. Schedule is the thing! All really great tips! This will be so helpful for parents of infants – I will share with my friends who are going through this. I love this blog post! I am trying my hardest to get my godson on a sleep schedule, but his mom keeps breaking his routine. I babysit him and it seems when she drops him back from visiting various family members and friends… I have to start all over! I am going to share this blog post with her ASAP! yes and YES! I agree 100% with this idea. People who tell you to “keep him awake” are sadics. If you want to sleep and our body asks you to sleep, the keeping you awake only upsets you more! I always make my babies nap at regular times and they did pretty well sleeping at night. My second one had a reflux problem that bothered her and woke her up at night, but that’s another story.